Most stereo and home theater receivers and amplifiers have a speaker A and speaker B switch located somewhere on the front panel. Speaker A is typically used for the primary speakers, such as ones that might pair for television or video. But what about that secondary set of hookups? With a little planning and effort, speakers assigned to the speaker B switch can be used to play audio in another room, entertain a patio area or backyard, or compare two different speakers. Taking advantage of this built-in feature requires running speaker wires from the receiver to the desired room/zone and connecting a second pair of speakers. Most receivers are designed to be able to safely power both sets of speakers (speakers set to both A and B) at the same time without any problem. But be sure to refer to the product specifications first since there are some receivers/amplifiers that permit only one pair of speakers to operate at any given time (the owner's manual is a good reference to check, and if you don't have the manual you can often find a digital PDF version on the manufacturer's website, usually under support). Adding speakers to the speaker B switch can make it easier to compare and contrast the performance between two sets. Given that the rest of the equipment is typically shared (e.g., audio source, receiver/amplifier, and even the playing space), one can better zero in on and evaluate aspects of quality. It's also possible to use both sets of stereo speakers, given different listening situations. One set may be favored over the other, depending on each speaker's strengths and the genre of music played. For example, those who often listen to classical music may prefer speakers that focus on exhibiting clean highs and mids with excellent imaging. But if the mood changes to enjoying some EDM or hip-hop, speakers with fuller-sounding lows and boosted bass might be favored instead. It is also possible to use the Speaker B switch to power more than one additional pair of speakers. However, a special (read: additional) switch is required to do this safely. The required speaker switch has an impedance matching feature that protects the receiver from potential damage caused by attempting to power too many speakers at once. Such speaker switches with impedance matching can be purchased in a range of prices, qualities, and with a variety of available total connections. But the benefit of using this bit of gear is that it can transform your receiver into a basic multi-room audio system. 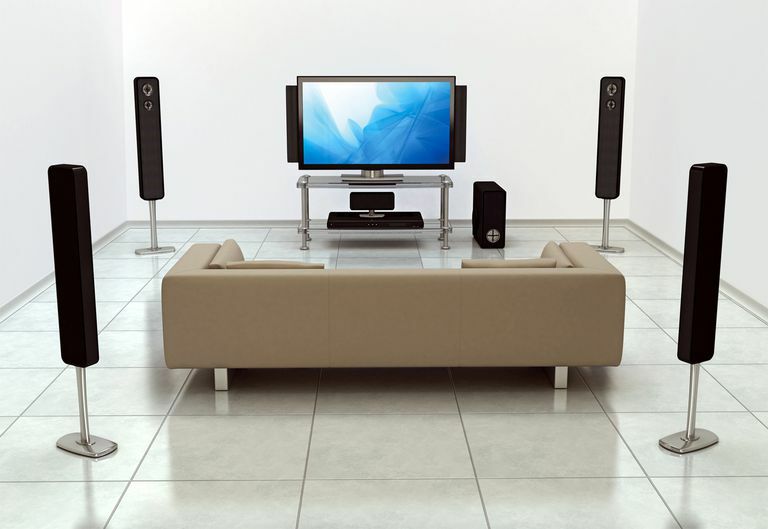 An entire house can be wired to the same audio source, complete with individual volume controls for each connected area.